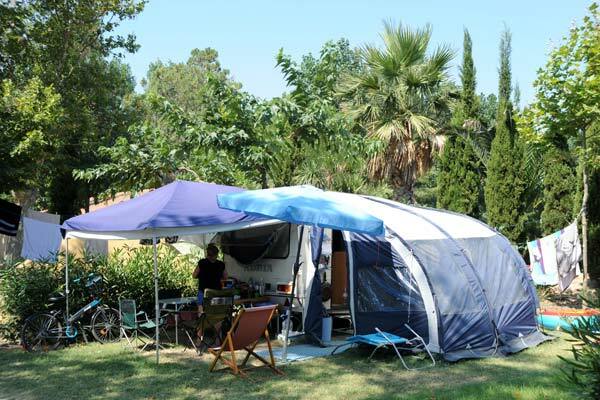 A harmonious blend between comfort and camping spirit. 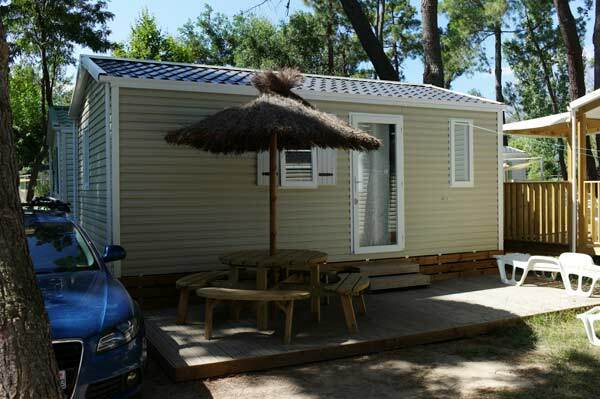 To make your holiday a success, settle into a privileged environment with the comfort of your very own pitch or rent fixed accommodation! 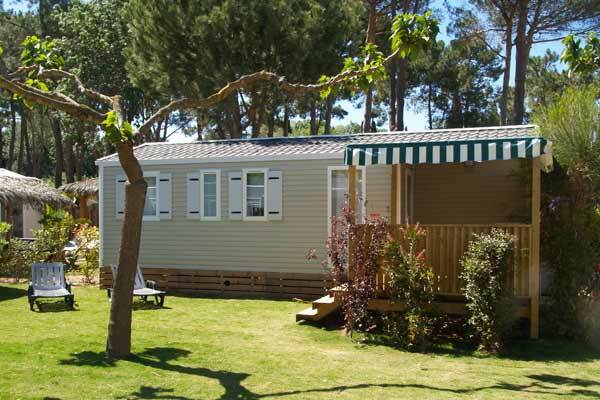 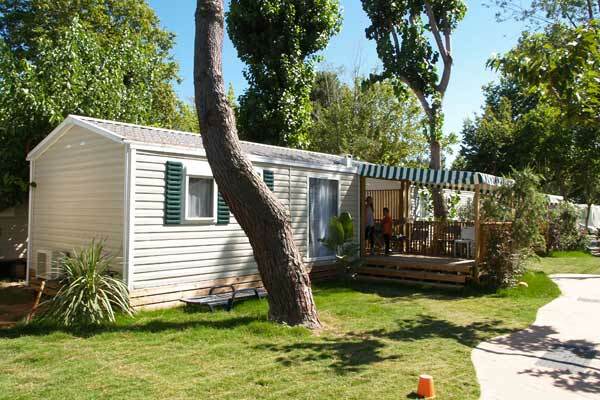 Set up your tent or caravan on a spacious and well-kept pitch in a landscaped park covering 10 hectares. 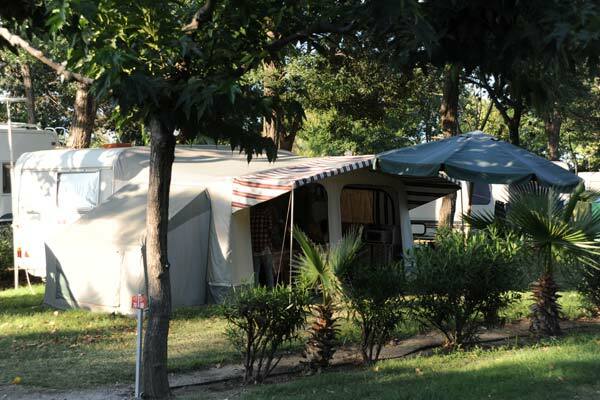 The camping spirit still reigns – it is our culture. 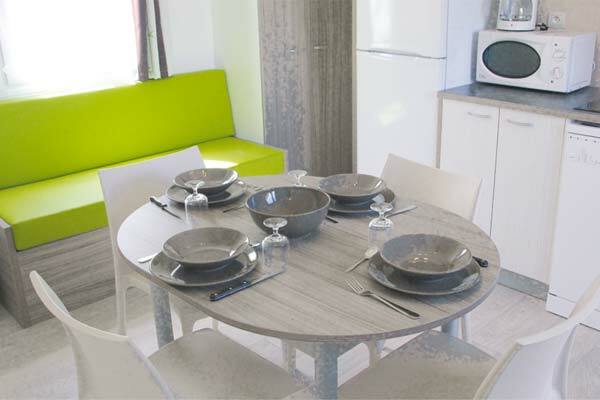 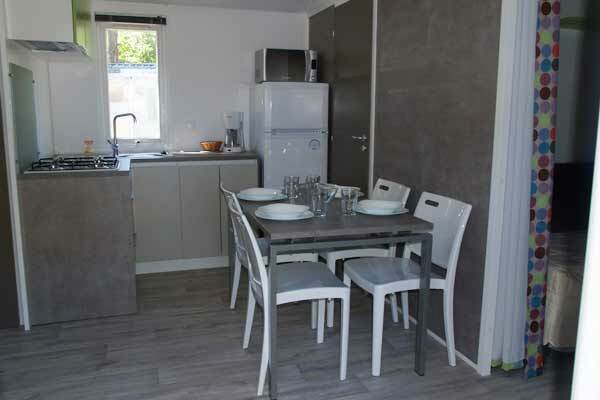 Whether you come as a family group or with friends, you will find a wide range of fully equipped and functional fixed accommodation that provides you with your very own space in a garden setting. 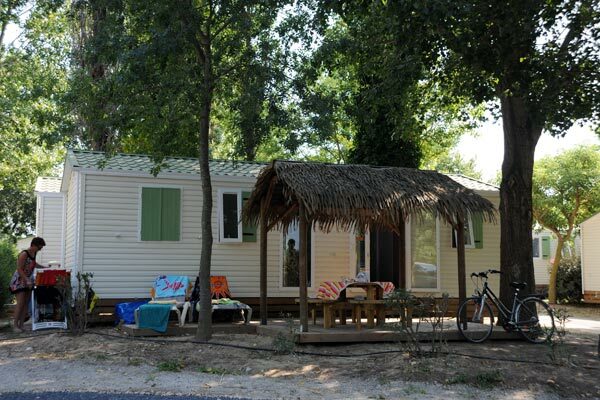 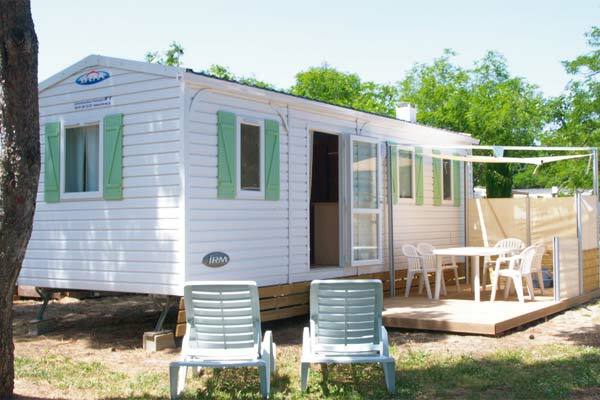 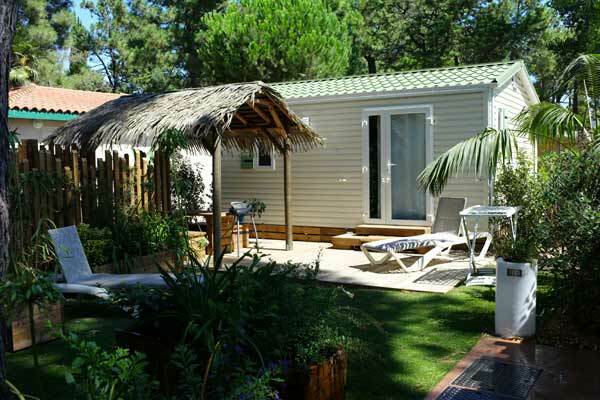 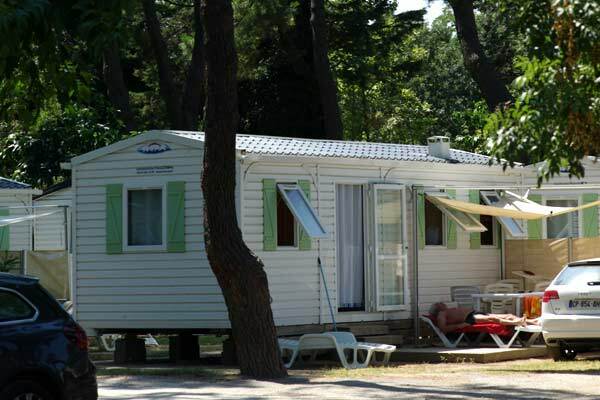 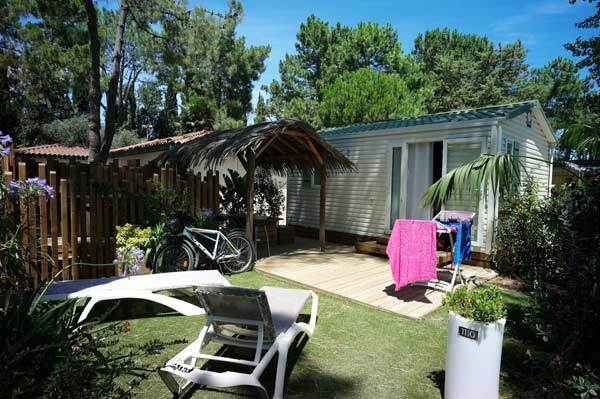 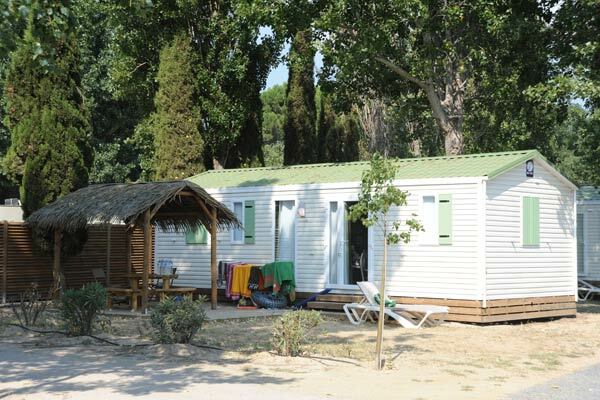 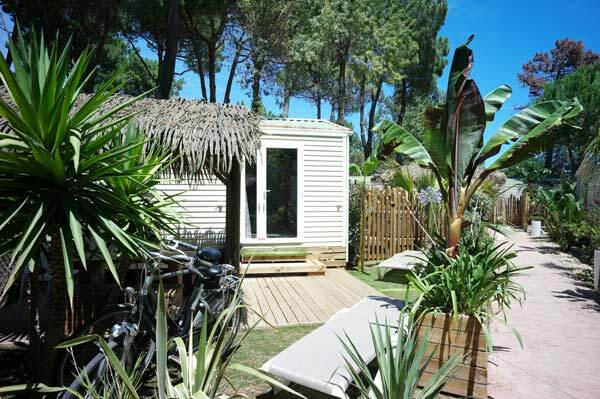 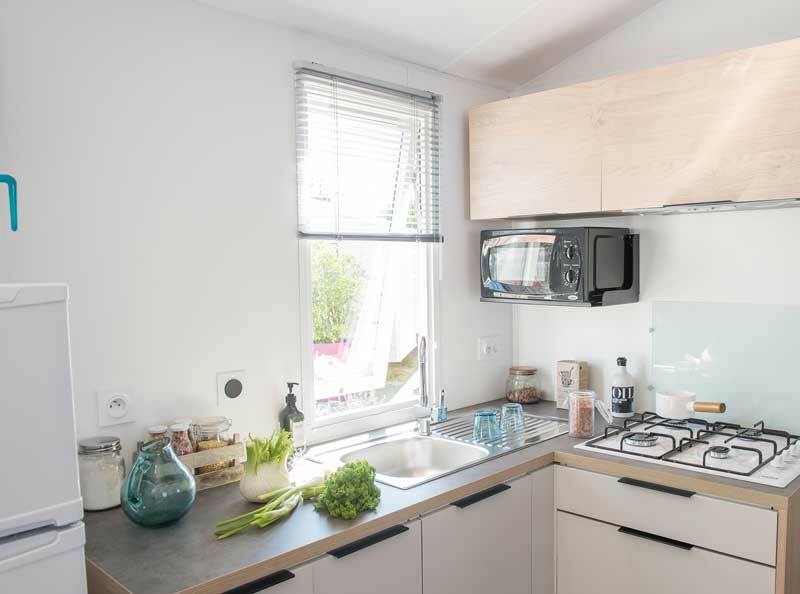 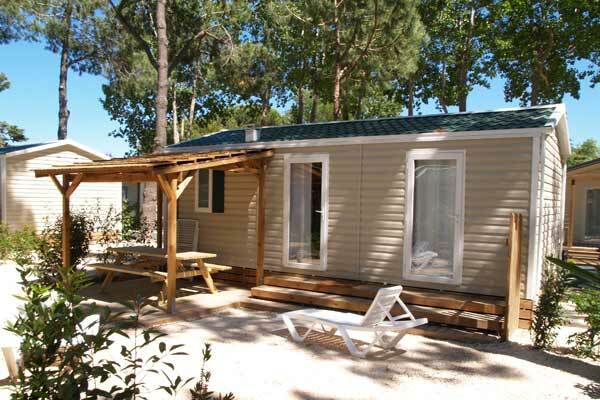 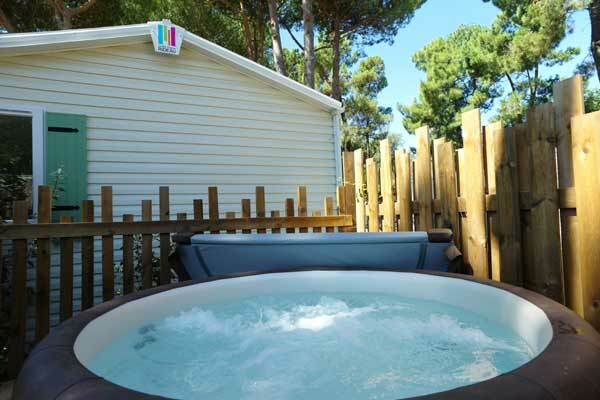 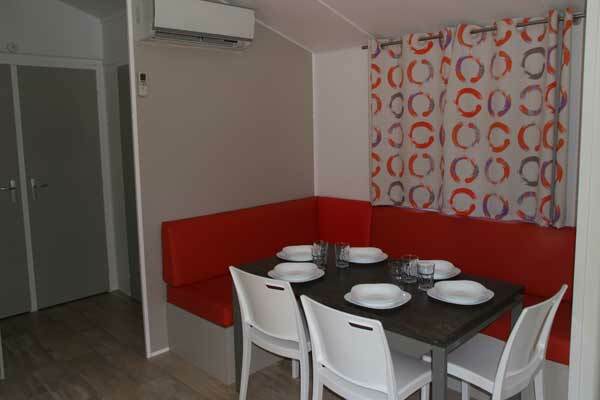 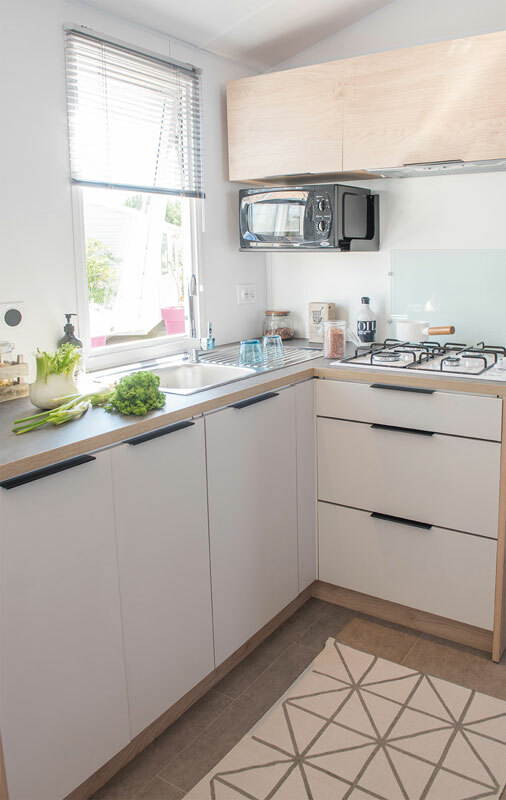 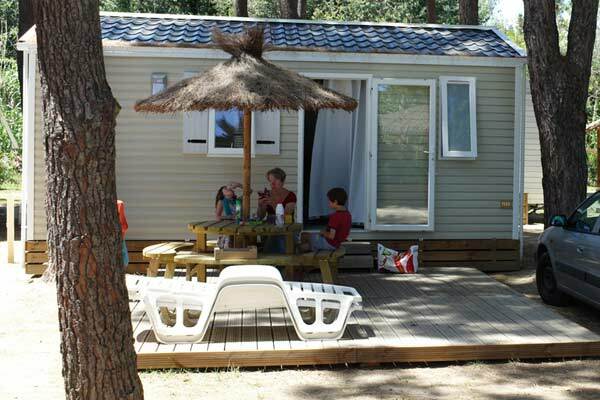 We offer modern, comfortable mobile homes for 2 to 6 people: some luxurious like the Collioure that can sleep six in its 3 bedrooms, (160 cm beds), TV, air conditioning, a large fridge and a dishwasher; or Le Rivesaltes for 2 to 3 people, (2 adults or 2 adults with one child under 12) with TV, air conditioning, a large fridge and a dishwasher. 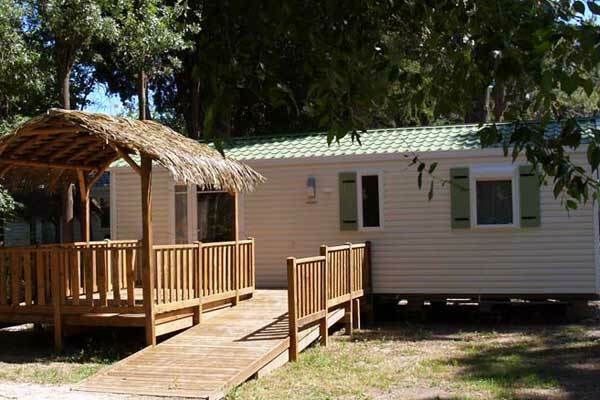 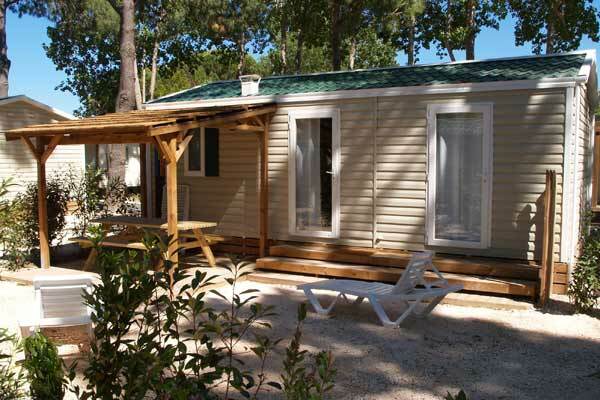 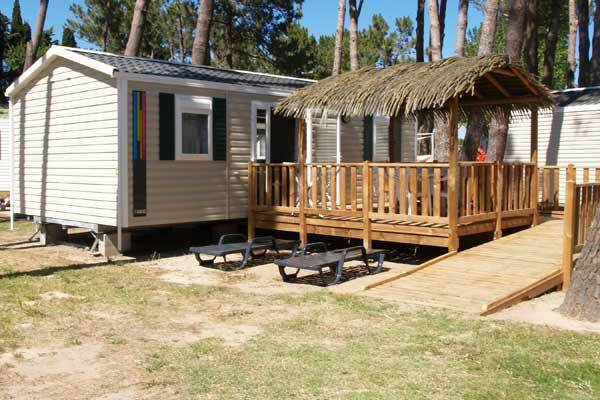 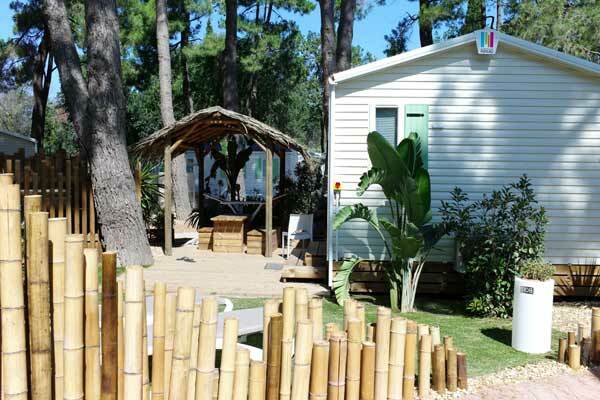 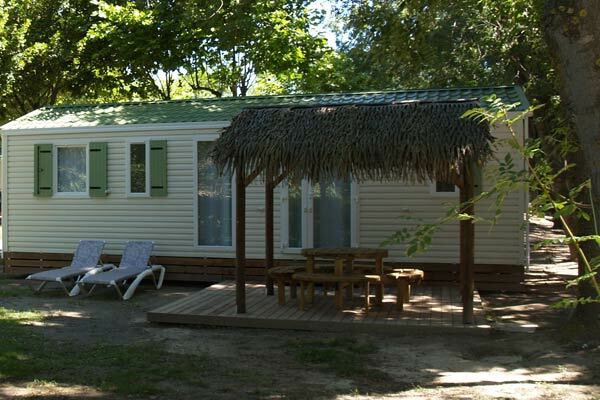 This accommodation is a harmonious blend of comfort and the camping spirit. 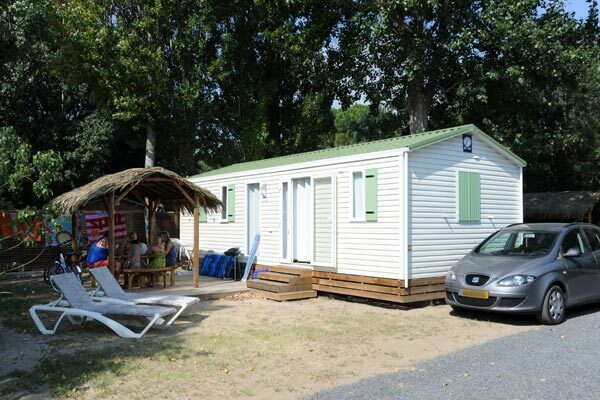 1 bedroom with double bed 140x190, 1 bedroom with 2 single beds 90X190, living room with sofa-bed (sleeping facility for 2 persons) , bathroom, wc, kitchenette, crockery and cutlery for 6 persons , coffee machine, microwave, garden furniture , deckchairs (2), 10Amp (2200w). 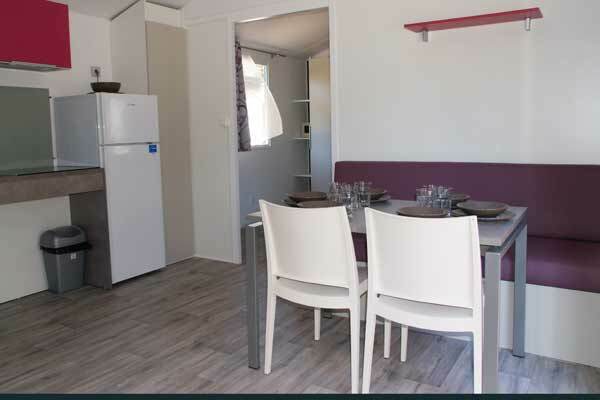 1 bedroom with double bed 140x190 • 1 bedroom with 2 single beds 90X190 • living room with sofa-bed (sleeping facility for 2 persons) • bathroom • wc • kitchenette • crockery and cutlery for 6 persons • coffee machine • microwave • garden furniture • deckchairs (2) • private safe • 10Amp (2200w). 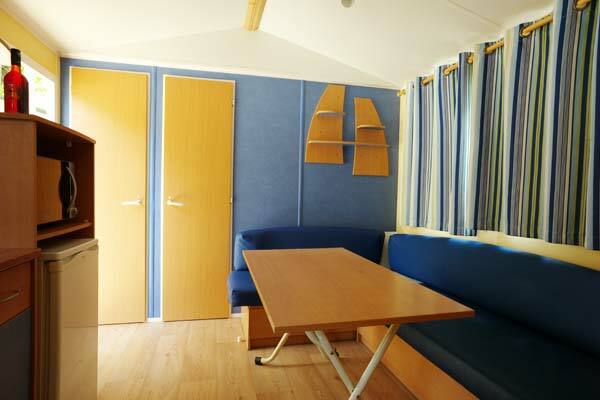 1 bedroom with double bed 140x190, 1 bedroom with 2 single beds 90X190, living room with sofa-bed (sleeping facility for 2 persons) , bathroom, wc, kitchenette, crockery and cutlery for 6 persons , coffee machine, microwave, garden furniture , deckchairs (2), private safe, 10Amp (2200w). 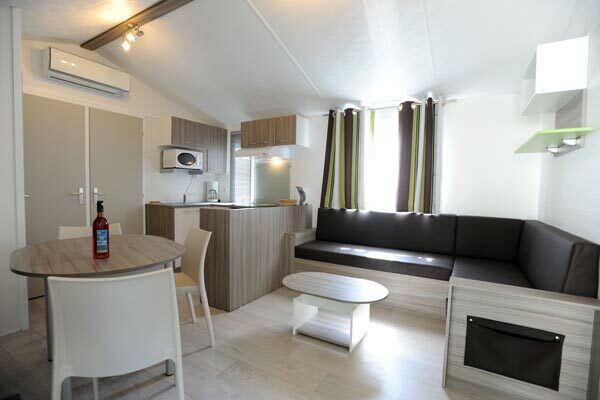 1 bedroom with double bed, adjoining bathroom, 2 bedrooms with 2 single beds, blankets, living room with sofa, wc, kitchenette, crockery and cutlery for 6 persons, coffee machine, microwave, garden furniture , deckchairs (2), private safe, 10Amp (2200w). 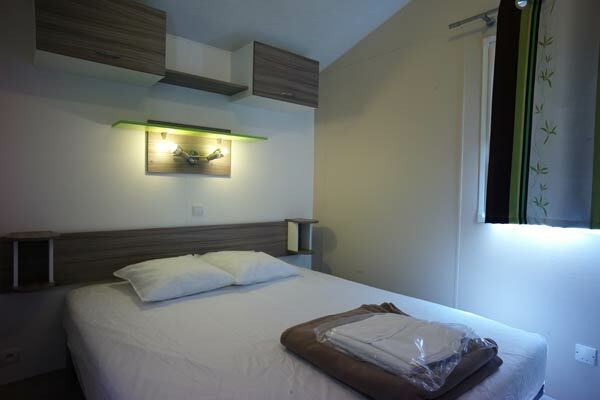 Prestige package: Double bed in 160X190, sleeping linen provided, flat-screen TV, reversible air conditioning, fridge/freezer, dishwasher. 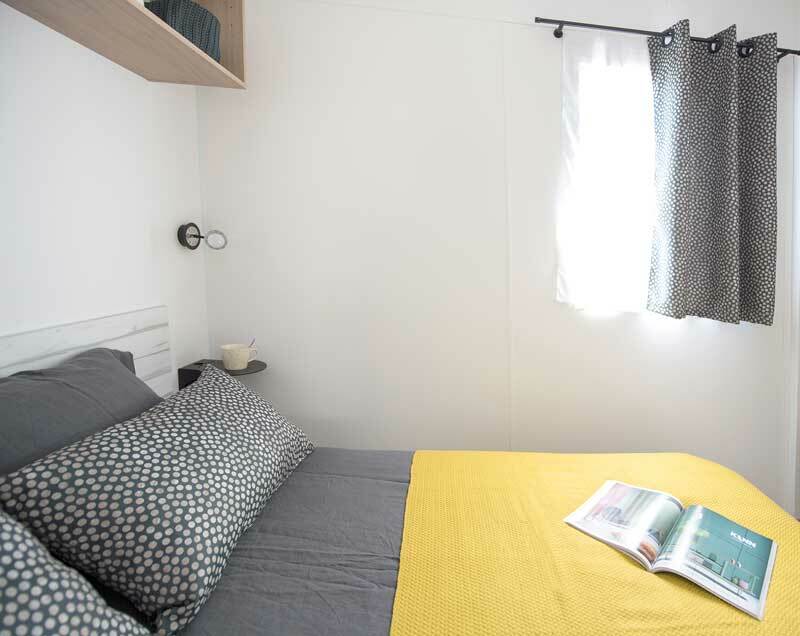 1 bedroom with double bed 140x190, 1 bedroom with 2 single beds 90X190, living room with sofa, bathroom, wc, kitchenette, crockery and cutlery for 6 persons , coffee machine, microwave, dishwasher, garden furniture , deckchairs (2), private safe, 10Amp (2200w). 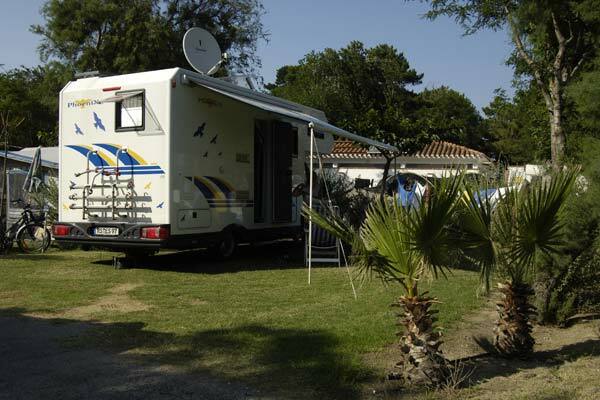 Pitch for caravan, motorhome for 2 people. 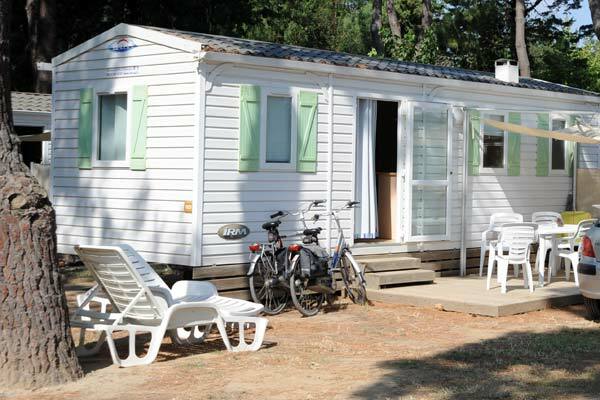 10 Amp electricity, water and drainage included.